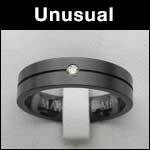 UNIQUE & UNUSUAL ENGAGEMENT RINGS : LOVE2HAVE in the UK! The BEST! 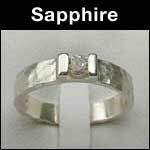 Unique and unusual engagement rings made in the UK that all sparkle in sterling silver, titanium, zirconium, 9ct gold and even wood! Engagement rings are still very traditional in the West and are a sign of betrothal to your loved one. Most people usually get engaged a couple of years before they intend to marry and will often choose an engagement ring design that will look good set against a wedding ring. At Love2Have we fully understand that our customers may be on limited budgets when it comes to choosing and purchasing an engagement ring, arguably one of the most critical decisions that you need to get right from the word go. With the advent of cheap imports, these days it is becoming increasingly difficult to offer designer jewellery at competitive prices that not only prove to be cost-effective for the buyer but also support UK homegrown talent too. We strive to adhere to these issues, and these engagement rings featured here tick all the boxes if you require a designer engagement ring with a top quality stone. Choosing an engagement ring is a big event for any woman but many men also these days opt to wear an engagement ring too. The traditional choice is still a diamond engagement ring, but budgets often limit the decision and in particular the size of the diamond. The solitaire (single diamond) is still a firm favourite as is the three diamond engagement ring which is meant to signify 'I Love You'. There are now many more styles and designs available to fit within everyone's budget. The choices now include non-precious metals such as titanium and zirconium fashioned into unique contemporary designs which will be both hard wearing and attractive. 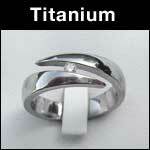 One of our most popular options are the titanium engagement rings. Not only are these available with diamonds but coloured sapphires too. The quirky zig zag engagement rings are the most unconventional we have come across; they ooze individuality with their unique way of setting stones. On a final note we are very confident in that not only do we provide the BEST engagement rings made here in the UK (and probably the world) but also at the LOWEST PRICES too. 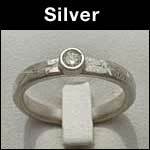 If you think you may have seen the same engagement ring elsewhere at a lower price, let us know, and we will price match like for like. YES! We can BEAT anyone!